Spread with pizza sauce. 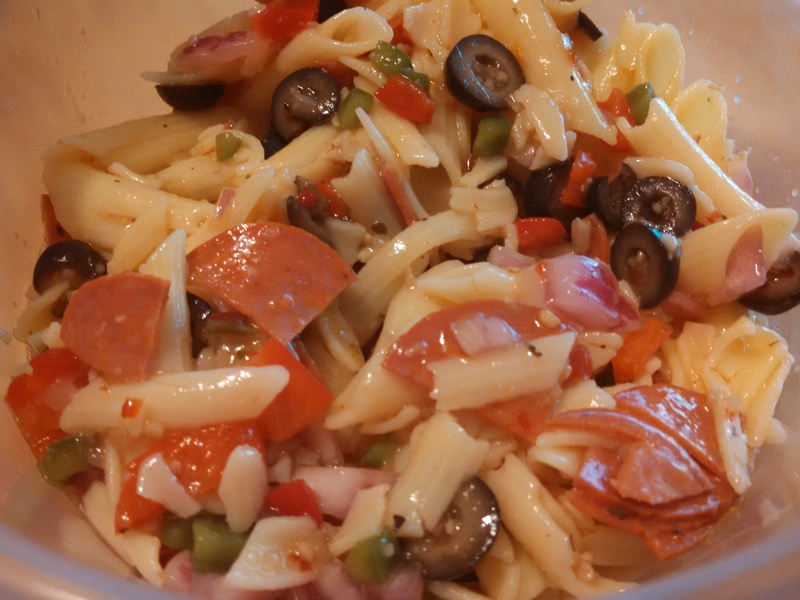 Top with grated Parmesan cheese and shredded mozzarella cheese, and other toppings as desired. Here is how K’s looked before baking. She was so proud of her creation. Hers has sauce, then grated Parmesan cheese, then shredded mozzarella. She put pepperoni on it, then a chopped olive on each piece of pepperoni. Finally, she put a pile of shredded cheddar in the center. 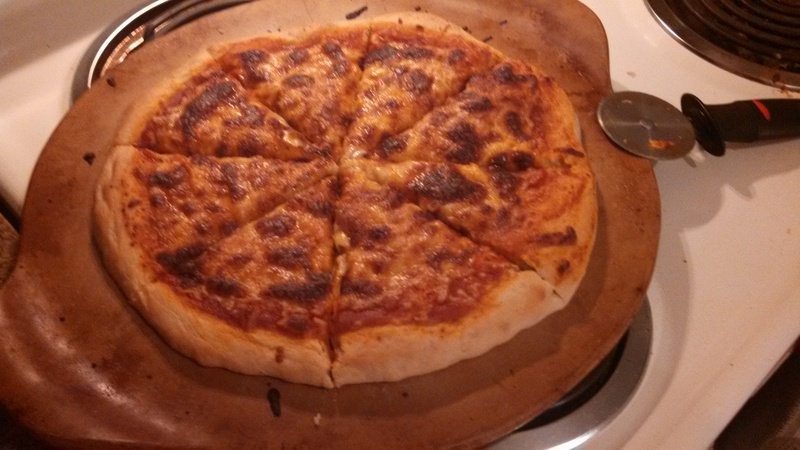 And, I only got a picture of S’s pizza after baking. Hers was just cheese. We made 2 big pizzas, but the dough could easily be divided to make 4 or 6 smaller pizzas so that each family member gets there own personal pizza. 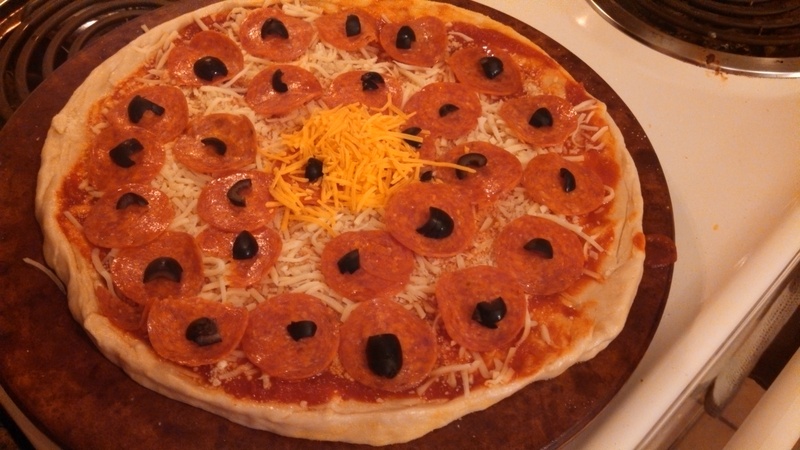 I love that I have an easy recipe that we like a lot to make our own pizza!